The Mega Moolah progressive jackpot has at long last paid out what could be its biggest prize to date after a wait of almost 26 weeks. 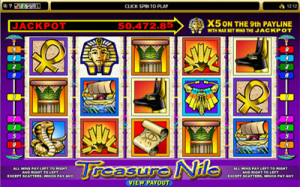 On the evening of Tuesday, 6th October, 2015, a lucky punter hit the jackpot on this progressive jackpot slot game which resulted in him winning a massive sum of £13,212,882 ($20,155,020 or €17,898,736). 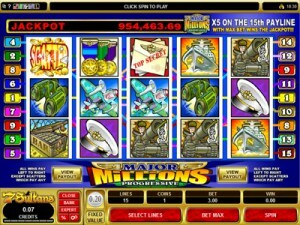 It is believed that the lucky player was playing in British Pounds at the time of his win although this has not yet been confirmed by the slot game manufacturer Microgaming. This latest win of £13,212,882 on the Mega Moolah progressive jackpot slot could be the biggest online progressive jackpot win ever, surpassing the €17,861,813 payout on NetEnt’s Mega Fortune progressive slot game in 2013. The massive size of this latest win on the Mega Moolah progressive slot game is believed to be due to the fact that the slot game has taken twice as long as usual to pay out. It is usual for Mega Moolah to pay out on average every 12 weeks and the jackpot on the slot game grew significantly due to the prolonged period. The Mega Moolah progressive jackpot’s seeder fund has seen it once again commencing from £1 million, which is bound to grow quickly once again. The record breaking judges will soon decide whether this latest Mega Moolah progressive jackpot win beats that of the previous record held. 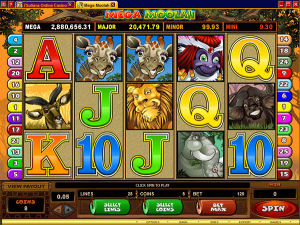 Mega Moolah is a four-tier progressive jackpot slot game designed by Microgamaing, the most accomplished company in the online casino software business. 138.com, a successful online casino and sports book operated by Xela Holdings, has announced that it has chosen the Microgaming Poker Network (MPN) to launch its new online poker offering and is now live on the MPN. 138 Online Casino is currently licensed in the United Kingdom, the Isle of Man and the Philippines. The online casino’s corporate headquarters are located on the Isle of Man. The company has also gained popularity in Asia, where it has been operating for a period of over ten years and the online casino is known for bringing a special Asian gambling experience to its international audience. 138’s online casino and sports book is very involved in sport and is the official club sponsor of Watford Football Club in the Football League Championship and is also the official betting partner of Newcastle United Football Club in the English Premier League. The head of poker at Microgaming, Alex Scott, revealed on Thursday that the company’s recreational focused poker strategy has now started to pay off and that an increasing number of operators are recognizing the Microgaming Poker Network. 138 Online Casino is currently available to play live with download as well as instant play clients and will soon be launching its mobile offering. The online casino has promised players with Mac or Windows PC’s or any other major tablet or smartphone that they will be able to play together on the same tables on the same network. According to Lisa Karran, the head of operations at Xela Holdings, the Microgaming Poker Network delivers exactly what they require and they believe that the network has an extremely bright future.